The aim of this chapter is to present a multilayer supervisory architecture for the design and development of reconfigurable and integrated control systems in road vehicles. The individual performance specifications are guaranteed by the local controllers, while the coordination of these components is provided by the supervisor in order to meet global performance specifications and avoid the interference and conflict between components. Monitoring components provide the supervisor with information needed to make decisions about the necessary interventions into the vehicle motion and guarantee the robust operation of the vehicle. In the proposed architecture, these decisions are propagated between the supervisor and the local components through a well-defined interface encoded as suitable monitoring signals. 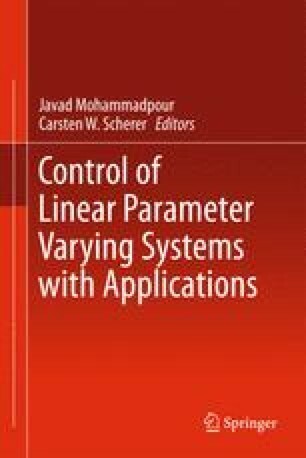 This interface uses the monitoring signals as additional scheduling variables of the individual linear parameter varying (LPV) controllers introduced to distinguish the performances that correspond to different operational modes. The advantage of this architecture is that local LPV controllers are designed independently provided that the monitoring signals are taken into consideration in the formalization of their performance specifications. Moreover, the operation of a local controller can be extended to reconfigurable and fault-tolerant functions. The operation of the control systems is demonstrated through various simulation vehicle maneuvers. The research was supported by the Hungarian National Office for Research and Technology through the project “Innovation of distributed driver assistance systems for a commercial vehicles platform” (TECH_08_2/2-2008-0088) which is gratefully acknowledged. This research work has been supported by Control Engineering Research Group, Hungarian Academy of Sciences at the Budapest University of Technology and Economics.